Kerry Ressler is a researcher at the Yerkes National Primate Research Center and Emory University School of Medicine, and he is a Howard Hughes Medical Institute investigator. The Institute of Medicine (IOM) has elected Kerry Ressler to its new class of 70 leading health scientists and 10 foreign associates. Ressler is a researcher at Emory University's Yerkes National Primate Research Center, an associate professor of psychiatry and behavioral sciences at Emory University School of Medicine, and a Howard Hughes Medical Institute investigator. Election to the IOM is one of the highest honors in the fields of health and medicine, and recognizes individuals who have demonstrated outstanding professional achievement and commitment to service. Ressler's election brings Emory's IOM membership to 23. "We are extremely proud of Dr. Ressler and his accomplishments," says Wright Caughman CEO of Emory's Woodruff Health Sciences Center. "That the prestigious Institute of Medicine has selected him as a member recognizes his extensive contributions to medical research." Ressler's research focuses on the molecular and cellular mechanisms of fear learning and the process of extinction of fear in mouse models and in humans with fear-related disorders. The primary objective of the work in his lab is to use the power of molecular genetics to understand the molecular biology, neural circuitry and behavioral biology of fear and extinction of fear in mouse models. Ressler is also a practicing psychiatrist with an interest in translational and clinical research on fear-based psychiatric disorders. His clinical psychiatry research, conducted at Grady Memorial Hospital, focuses on post-traumatic stress disorder (PTSD), and he is a leader in the area of genetic underpinnings of fear and anxiety disorders. Ressler hopes that by understanding how fear works in the mammalian brain in the laboratory, it will improve understanding of and provide translational treatments and possibly prevention for fear-based disorders, such as PTSD, phobic disorders and panic disorder. "Dr. Ressler is a dedicated researcher and clinician who is committed to making a difference," says Stuart Zola, PhD, director of Yerkes. We are very fortunate he has based his research program at Yerkes and appreciate the leadership example he sets for our researchers and staff." 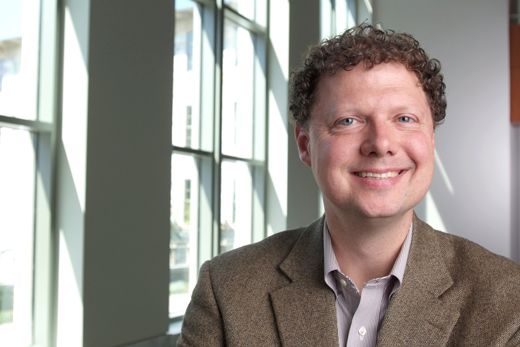 Ressler has been the principal or co-principal investigator on more than 10 grants from the National Institutes of Health (NIH) as well as multiple foundation grants, including the Brain and Behavior Research Foundation and the Burroughs Wellcome Fund. He has trained 10 PhD students and 12 postdoctoral fellows. In addition, he serves as a member of the NIH Learning and Memory study section, he is on the Simons Foundation grant review board for Genetics of Autism, he is a member of the Scientific Advisory Board for the Department of Defense (DOD)-funded InTrusT program for PTSD and traumatic brain injury, and he is the Chairman of the Scientific Advisory Board of NIH/DOD funded Army Study To Assess Risk/Resilience in Service members (STARRS) Project. Ressler has received many international honors, including the 2011 Laufer Award for Outstanding Scientific Achievement from the International Society for Traumatic Stress Studies, the 2011 inaugural Eva King Killiam Award for Outstanding Translational Research from the American College of Neuropsychopharmacology and the 2011 Emil Kraepelin Guest Professorship at the Max Planck Institute for Psychiatry, Munich, Germany. Locally, he received a 2012 Outstanding Postdoctoral Mentor Award from the Emory University School of Medicine and the Laney Graduate School. IOM members are elected by current active members through a selective process that recognizes individuals who have made major contributions to the advancement of the medical sciences, health care and public health. IOM's charter ensures diversity of talent among the Institute's membership by requiring at least one-quarter of the members to be selected from fields outside the health professions, such as engineering, social sciences, law and the humanities. The newly elected members raise IOM's total active membership to 1,732 and the number of foreign associates to 112. With an additional 84 members holding emeritus status, IOM's total membership is 1,928. The Institute of Medicine is unique in its structure as both an honorific membership organization and an advisory organization. Established in 1970 by the National Academy of Sciences, IOM has become recognized as a national resource for independent, scientifically informed analysis and recommendations on health issues. With their election, members make a commitment to volunteer their service on IOM committees, boards, and other activities. Projects during the past year include studies of environmental factors in breast cancer, health IT and patient safety, nutrition rating systems and graphics on food packaging, the scientific necessity of chimpanzees in research, establishing crisis standards of care during catastrophic disasters, improving care for epilepsy, and treatment of post-traumatic stress disorder.